Gov. Phil Murphy on Wednesday signed into law a requirement that all public schools in New Jersey install silent “panic alarms” that would alert law enforcement in the event of an active-shooter incident or other emergencies. The state mandate was a response to the Feb. 14, 2018, shooting massacre at Marjory Stoneman Douglas High School in Parkland, Fla. 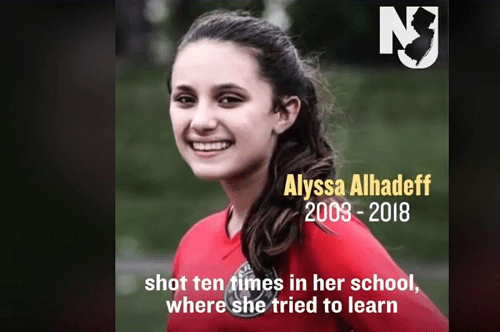 The legislation was called “Alyssa’s Law” in memory of Alyssa Alhadeff, a 14-year-old New Jersey native who was among the 17 people killed at the school. Similar bills have been introduced in New Jersey since the Dec. 14, 2012, shooting massacre at Sandy Hook Elementary School in Newtown, Conn., that took the lives of 20 children and six adults. Gov. Chris Christie vetoed those bills. “It has taken six years to get to this day,” said Assemblyman Ralph R. Caputo (D., Essex), the legislation’s prime sponsor. The cost per school is estimated at $1,000 to $5,000, according to an analysis by the Office of Legislative Services. With about 2,500 schools, the total cost could fall between $2.5 million and $12.5 million. Funding will come from state bond proceeds. The New Jersey Schools Development Authority is tasked with adopting rules and regulations for the law’s implementation, including specifications for what type of alarm systems schools will need to install. The law calls for the silent panic alarms in each school to be directly linked to local law enforcement. “In the event of a life-threatening emergency, every second counts,” Murphy said in a statement last year as the details on its language were still being worked out. “Equipping schools with panic alarms linked to law enforcement is a commonsense measure that will enable faster response times and more direct, effective communication between schools and first responders,” Murphy said. The scramble to bolster school safety in the aftermath of the Parkland shooting echoes similar efforts to fortify schools after the shootings at Sandy Hook. Schools in Delaware County implemented panic alarms after Sandy Hook. Lisa Yakomin, executive director of Keep NJ Safe Foundation, which advocated for the new law, said that some districts in New Jersey also already have panic alarms installed. “The bill was intentionally left somewhat open-ended in terms of the exact type of panic-alarm system that is required, in part because there are so many different systems out there, and we didn’t want to force districts to choose one over another,” Yakomin said in an email. Systems already installed in schools will have to meet the future requirements defined by the state, she said.